This project involved the hauling, disposal and incorporation of 5500 tons of sludge from an existing wastewater treatment plant’s pond system to a local farmer’s field. Additionally a pump house with a UV disinfection system was constructed to allow the Town of Ennis the opportunity to be in compliance with DEQ standards. 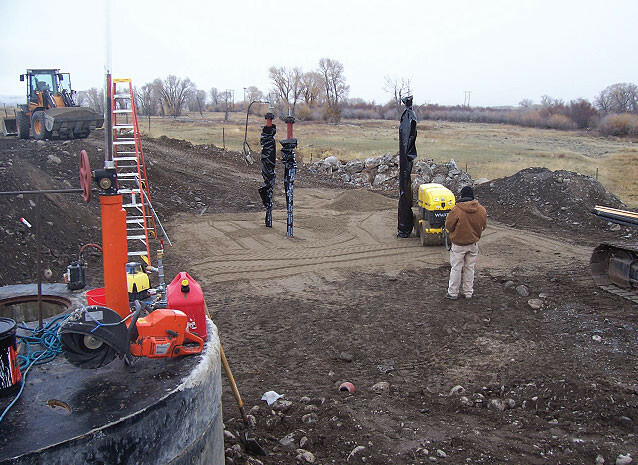 DLM was also utilized to upgrade the distribution manifold system that feeds into the Madison River – an environmentally sensitive area.